Watch Prince William sing Livin’ On A Prayer with Taylor Swift and Bon Jovi in his Palace! So, yes, you have just seen the future King singing karaoke with the actual Taylor Swift. This isn’t a dream, we think. This video was shot at a charity event in Prince William’s palace where loads of famous people were hanging out. One thing led to another, and someone broke out the karaoke. Looking at the past members of the Royal Family, they weren’t big fans of getting on stage with a popstar and singing, so we would not have guessed Wills would have done this. There’s no way the Queen would have done something like this. 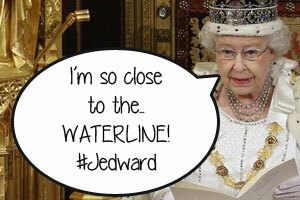 But now she’s seen it can be done, maybe she’ll do a duet with Jedward! Do you prefer your princes on stage singing? Let us know in the comment box below.